The name of this restaurant, Southpaw BBQ and Southern Cooking, pretty much says it all — except for one important thing. Tucked into a corner behind the bar is a small brew system on which they brew their own revolving selection of beers. These are served on draft, one or two brews at a time, along side ten or eleven nice guest taps. Draft beers are complemented by 20 or so bottle selections as well as premium spirits, with an emphasis on bourbons. The small restaurant and bar exudes a convivial atmosphere, nurtured by the three southern-born owners. Their compact brew system has capacity to produce more of their own beers when and if they can solve their storage and serving capacity limitations. 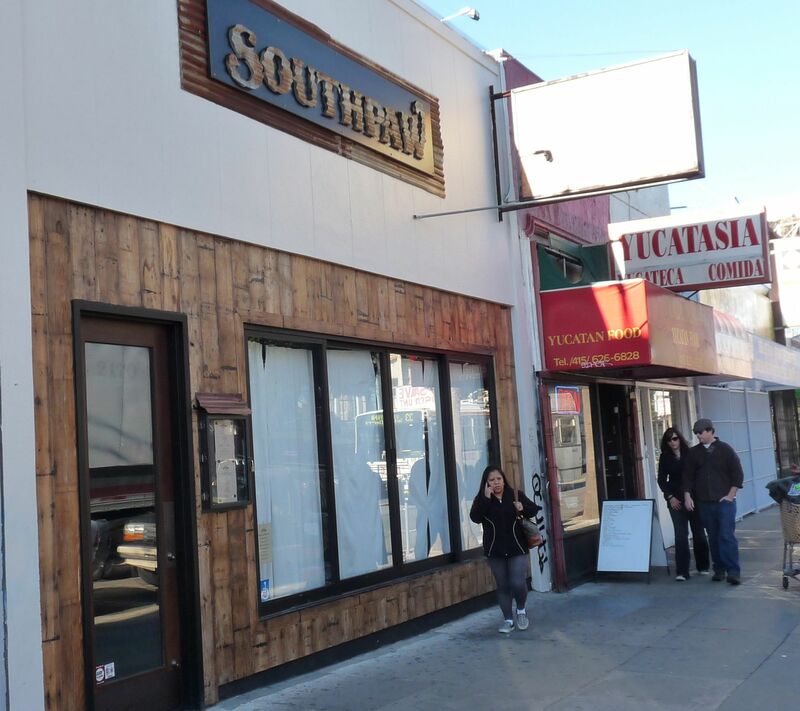 Extras: Southpaw is conveniently located in the Inner Mission District, easy walking distance from Southern Pacific Brewing, Shotwell’s, Monk’s Kettle, Zeitgeist, Abbot’s Cellar and Cerveceria de MateVeza. Walking from 16th Street BART: Exit out of BART at 16th and Mission. Walk two blocks south along Mission Street to number 2179.